Wrapping leafy greens and all kinds of veggies and leafy greens into a wrapper lets the ingredients shine in a way that bread-y sandwiches can’t always do. And yet, that simple step of wrapping things up makes this kind of fare instantly appealing. 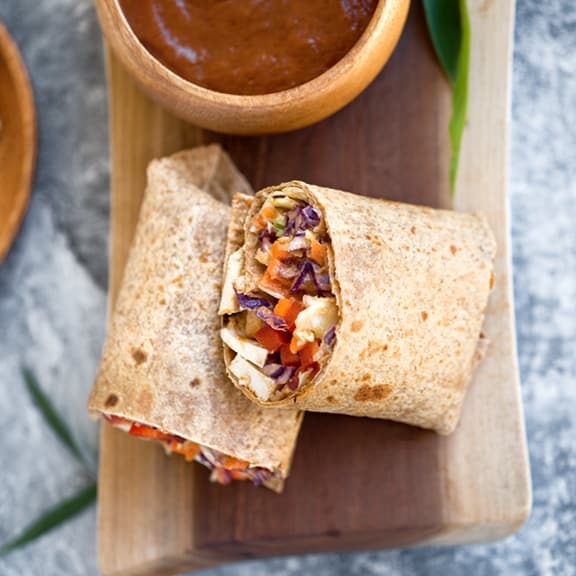 We’ve rounded up 10 easy vegan wraps you can make in 10 minutes or less, because who doesn’t love a great wrap? It’s perfect fare for lunchtime, and can be the centerpiece of light dinner, too. Tempeh Bacon, Lettuce, and Tomato Wraps (at top) are perfect for a portable lunch or a light dinner. 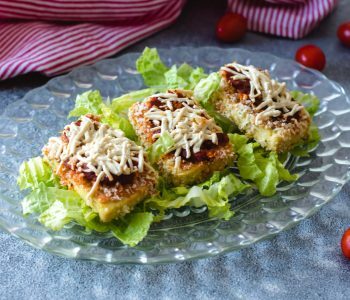 Though this recipe gives you DIY tempeh “bacon,” used the prepared kind to make these in a flash. 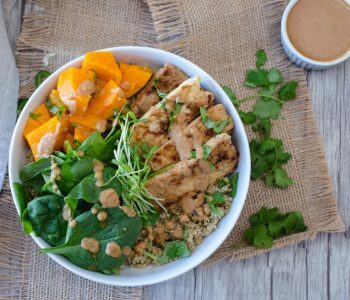 Sometimes, two shortcuts are better than one, and that’s definitely true for tasty Baked Tofu & Peanut Satay Wraps. Using precut coleslaw and prepared peanut satay sauce means that these can be ready to eat in 10 minutes or less. 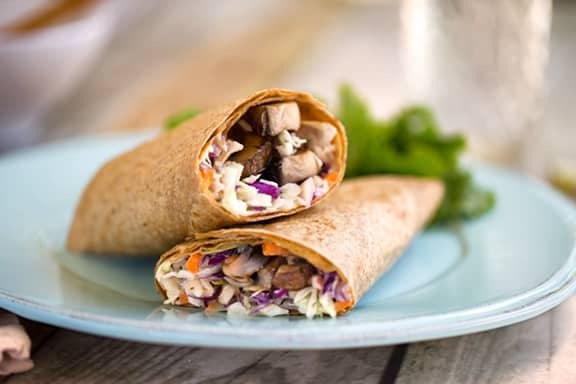 Portobello Mushroom Wraps with Creamy Coleslaw are so packed with flavor that adding anything else would be gilding the lily. And they can be yours to enjoy in minutes. You don’t need a recipe at all for hummus, avocado, and tomato wraps. 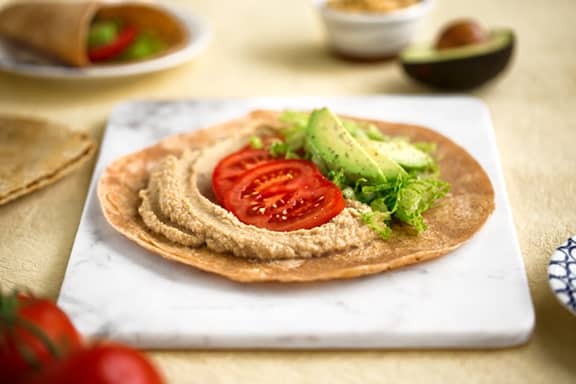 Just layer your favorite kind of hummus onto a wrap with slices of lettuce and tomato, and bolster the whole thing with a handful of leafy greens. 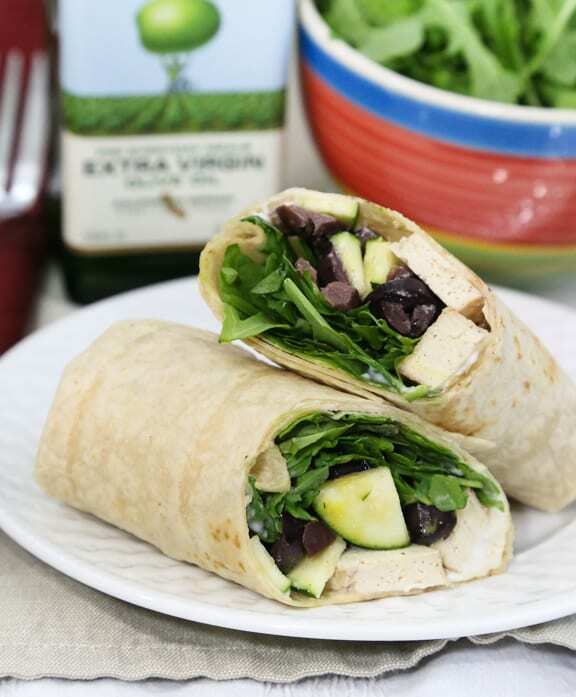 The combination of flavors makes Baked Tofu, Arugula, and Olive Wraps one of my favorites — they’re so tasty, and make a great portable or at-home lunch. 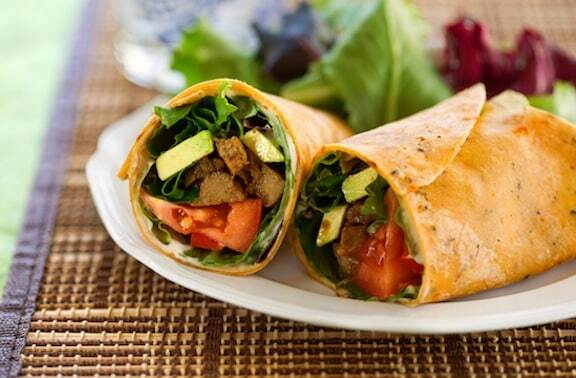 In BBQ-Flavored Seitan and Avocado Wraps, the seitan contrasts deliciously with cool avocado and leafy greens. 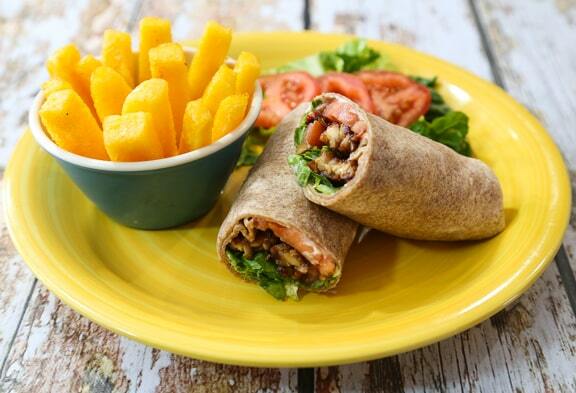 Like many of our wraps, it’s a salad disguised as a hearty sandwich. 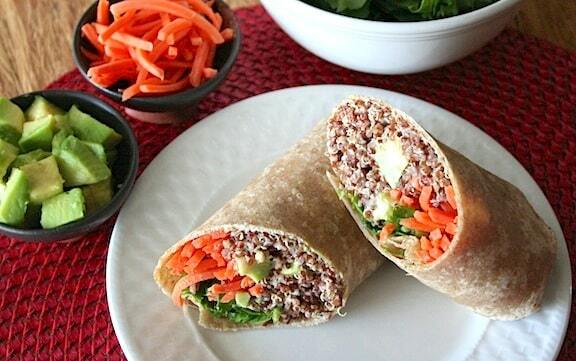 Delectable Asian-Flavored Quinoa Wraps come with a small caveat — you need to have cooked quinoa on hand for these to come together in 10 minutes; but once you do, it will be well worth it! 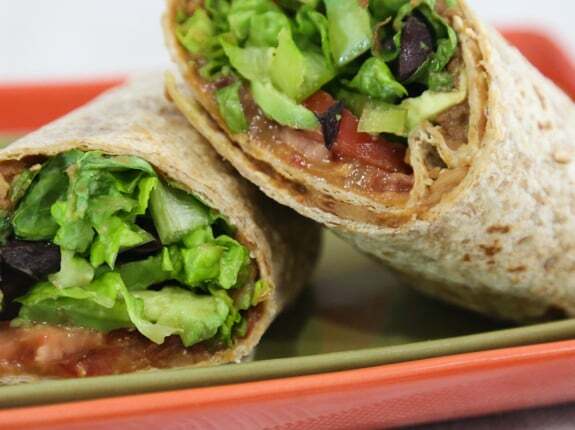 Cool Refried Bean Wraps are great for lunch with with stone-ground natural tortilla chips and some fruit. 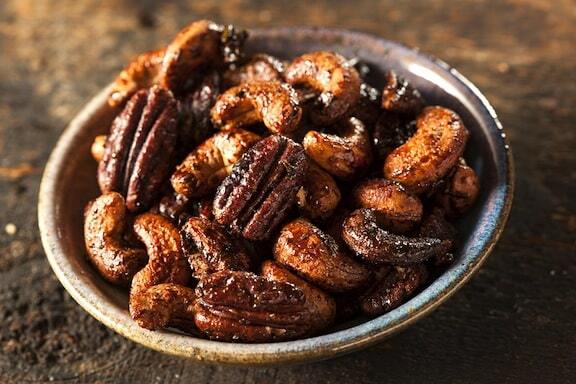 For dinner, serve with baked potatoes or sweet potatoes (tortilla chips and salsa are welcome, too). 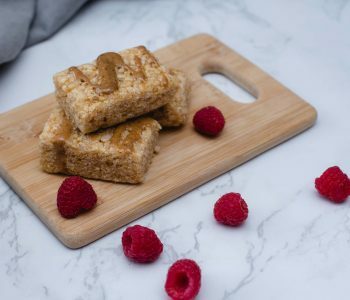 There’s something about everyday healthy ingredients enclosed in a soft wrapper that makes them yummier and more appealing. 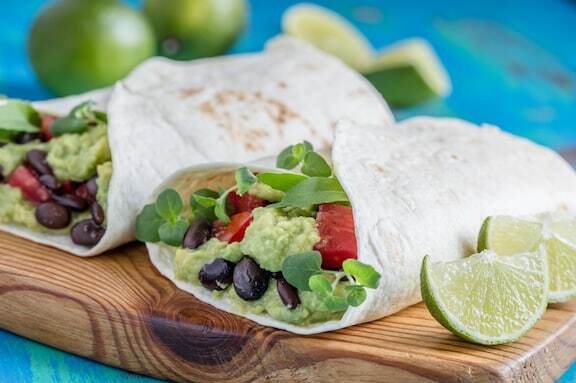 Case in point, these simple and tasty Avocado Black Bean Wraps. 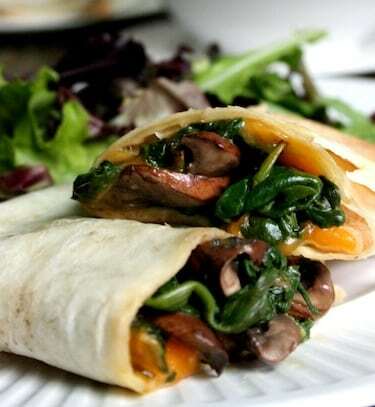 This yummy warm Mushroom, Spinach, and Cheddar Wraps (vegan, of course) gives ingredients for 4; if you cut it in half for two wraps, you might just make that 10-minute mark. And even if you don’t, these are well worth making. Your recipes look healthy delicious and great for a quick yet hearty meal. I’m going to the kitchen to start cooking in a few. The Tofu and Green Beans Teriyaki Dinner will be dinner in our house tonight! Thank you! Thank you, Caprice! The Tofu and Green Beans Teriyaki is actually one of my fave quick dinners. I hope you enjoy it!